Land-use planning is used throughout the world to help communities balance current development needs with consideration for environmental sustainability and the availability of resources. In the United States, land use is often regulated by the government – for example, construction may be prohibited in order to protect fragile wetlands, hunting may be restricted to short seasons and specific areas to maintain healthy wildlife populations, or agricultural chemical use may be limited to protect drinking water reservoirs. 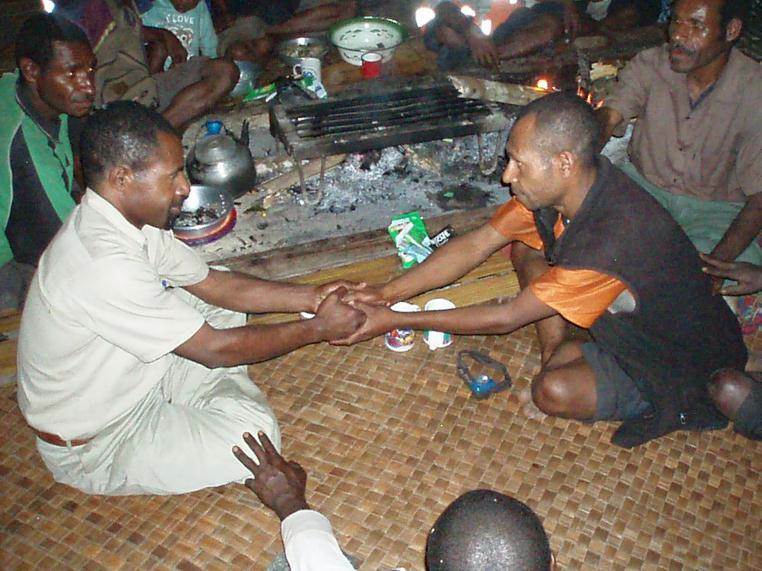 However, in Papua New Guinea, indigenous clans own and control more than 90% of the land. This land cannot be bought or sold, and the government does not have the authority to determine how it should be managed. As a result, it is imperative that communities manage their land and resources sustainably and plan for the long term. Over the course of two decades, TKCP has worked to establish a common understanding with local landowners and communities regarding the concept of conservation. 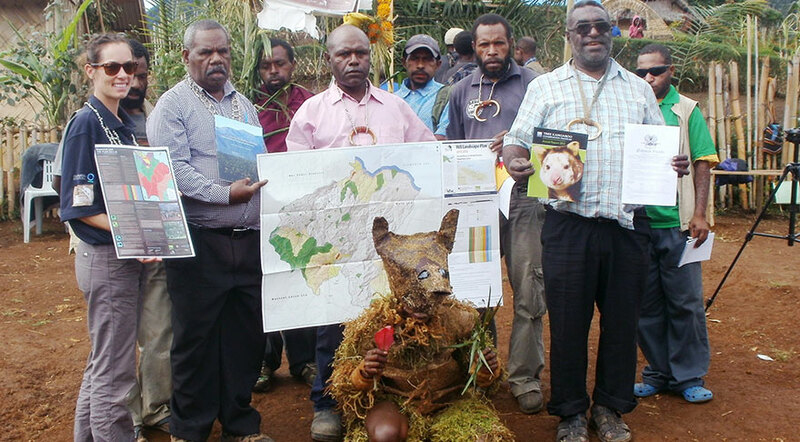 With a cultural history of reserving areas of the forest as "tambu" for spiritual reasons, the concept of setting aside land to protect wildlife and habitat was clearly understood and accepted by the indigenous landowners of YUS. The Community Land-use Planning process helps to create community consensus for resource use. 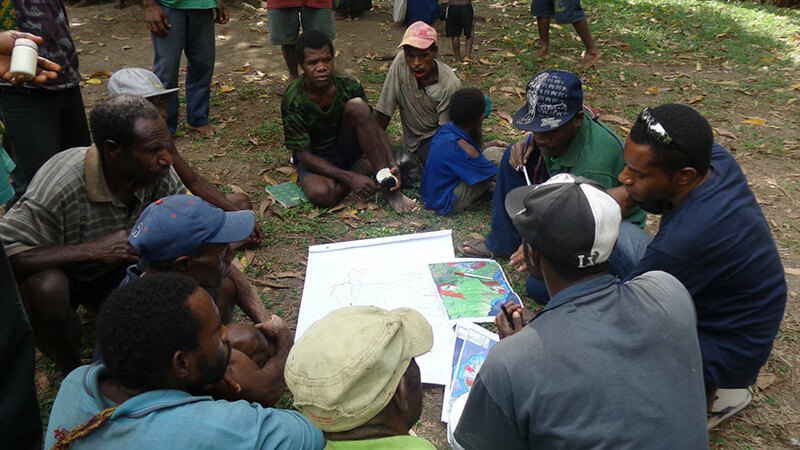 Neighboring clans discuss and agree on how to improve the use of their existing land and sea, which forests and marine habitat to use and which to protect and declare off-limits. By considering the community’s priorities for conservation and resource management simultaneously with development needs, community leaders are able to identify creative solutions and compromises which relieve environmental pressures without limiting opportunities to improve community welfare. Additionally, the process helps landowners to recognize the value of committing tracts of habitat for conservation or reforestation in order to enhance ecosystem connectivity across the landscape. Communities share their completed Land-use Plans with government representatives so that priority needs can be incorporated into the government processes for planning rural development and environmental protection. The plans and priorities are also incorporated into the overall YUS Landscape Plan to guide the work of TKCP and its partners. TKCP addresses the community’s development needs through its work under Strategy Four. To further strengthen the YUS community’s capacity to manage their land and resources sustainably, TKCP is supporting the creation of community-based monitoring plans to help landowners track the progress and effectiveness of community efforts and land-use decisions. To ensure the sustainability of the conservation and community development efforts throughout YUS, TKCP strives to inspire and strengthen local YUS leaders who will educate and rally their communities to action. The establishment of the local landowner association called the YUS Conservation Organization, and the Conservation Area Management Committee (CAMC) provides vital avenues for YUS people to communicate and engage with higher levels of government. TKCP continues to support local leaders – including landowners, church leaders, ward counsellors, teachers, and women’s representatives – with training and skills development in order to maximize the opportunities presented by these links. Leadership development is also an essential component contributing to TKCP’s efforts to promote sustainable livelihoods and access to social services in YUS. For more information about our work in community conservation leadership and land-use planning, refer to the YUS Landscape Plan or our Annual Reports.